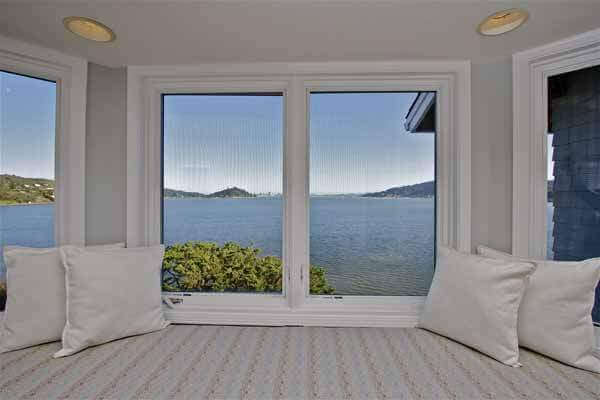 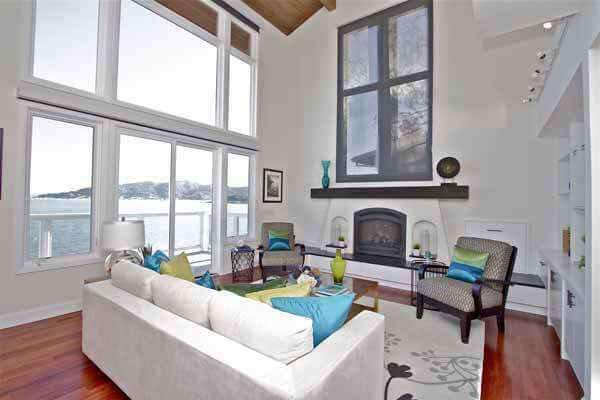 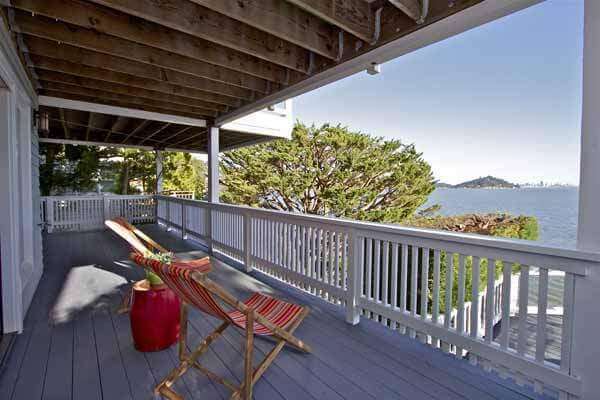 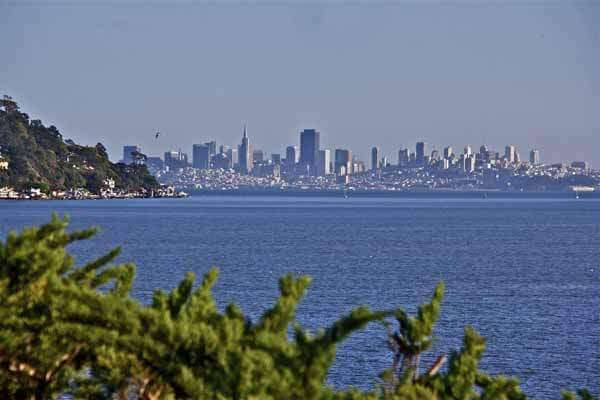 Spectacular south-facing waterfront home at 414 Greenwood Beach Road in Tiburon home has panoramic views of San Francisco, Richardson Bay, Belvedere and Angel Islands, and the Tiburon hills. 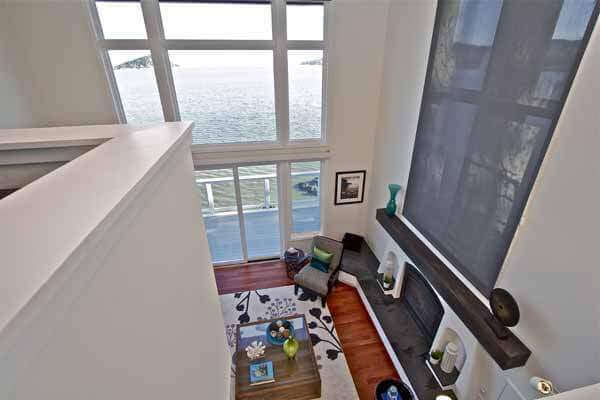 The two story great room has a wall of glass to the view, a large view deck, mahogany floors, and a dramatic Poggenpohl kitchen! 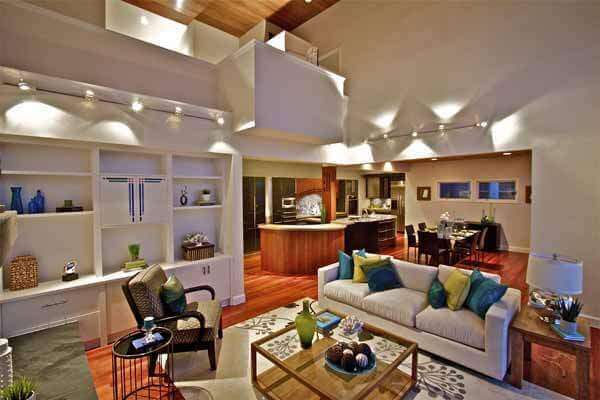 Three levels connected by an open staircase and an elevator provide two master suites with full water views and a third bedroom and bath on the living room level. 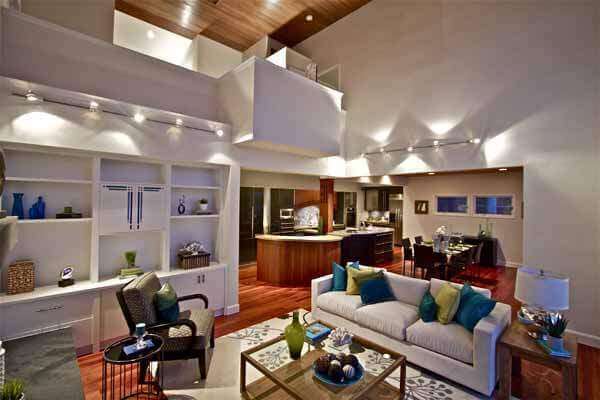 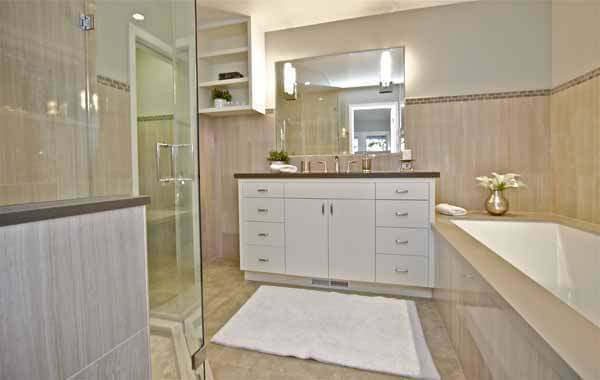 The street level has a two car garage and one of the master suites. 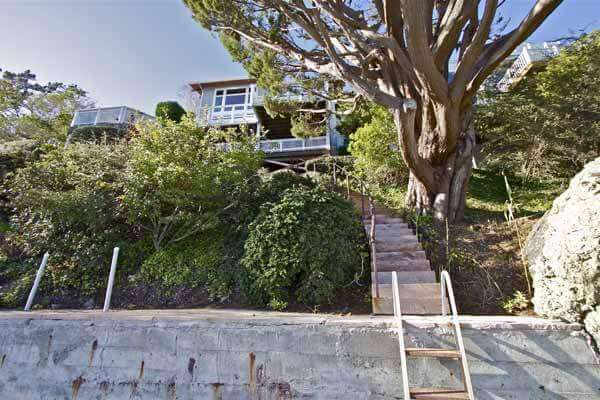 The lower level has the second master suite with a deck the full width of the building and access to a large hot tub with water and SF views. 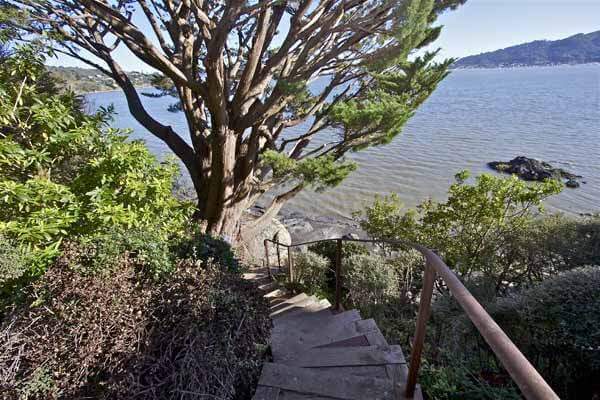 A stairway to the water ends at a boat dock suitable for kayaks and small watercraft. 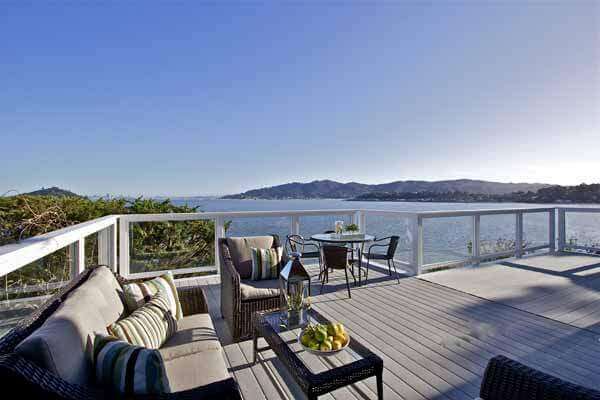 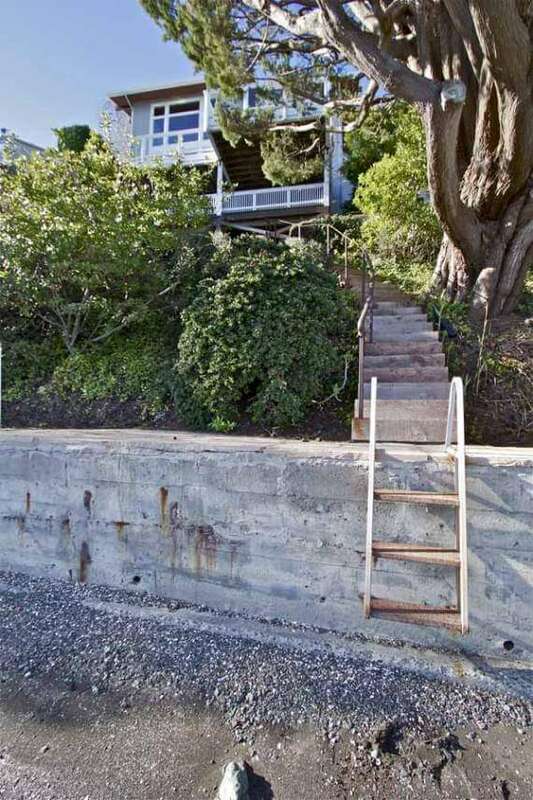 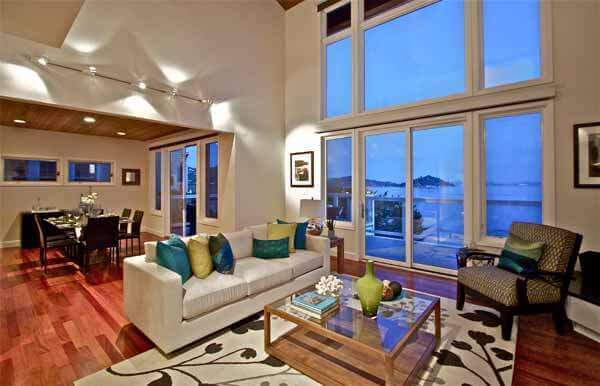 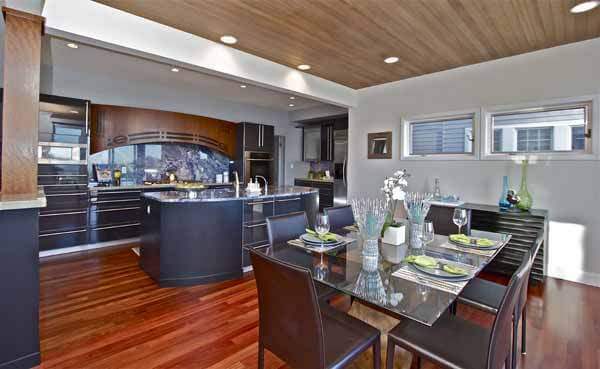 The owner often paddled to downtown Tiburon for Sausalito. 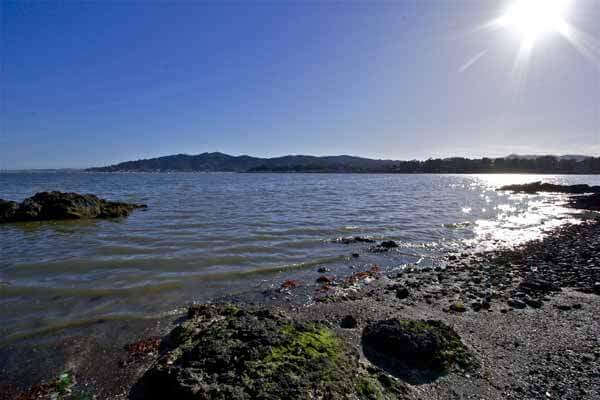 The adjacent bay is a preserved wildlife sanctuary visited throughout the year by large flocks of migrating birds. 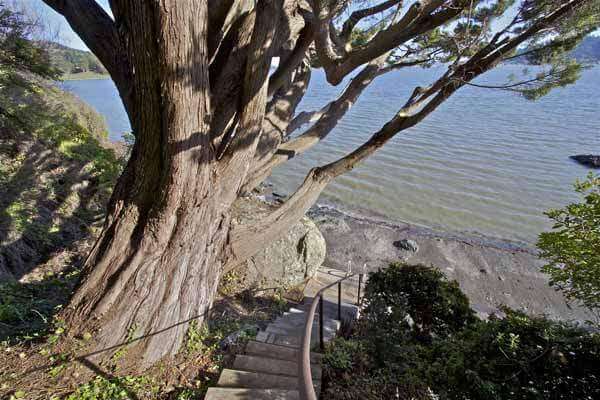 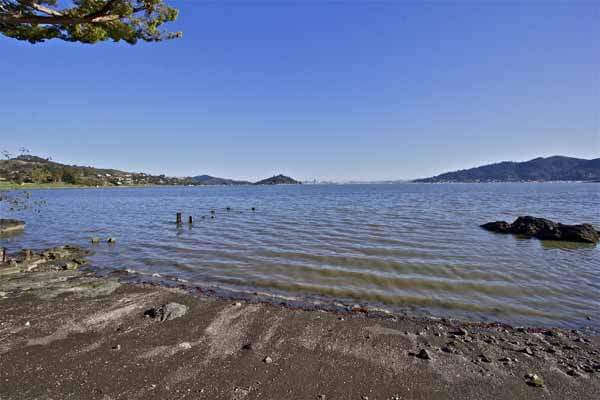 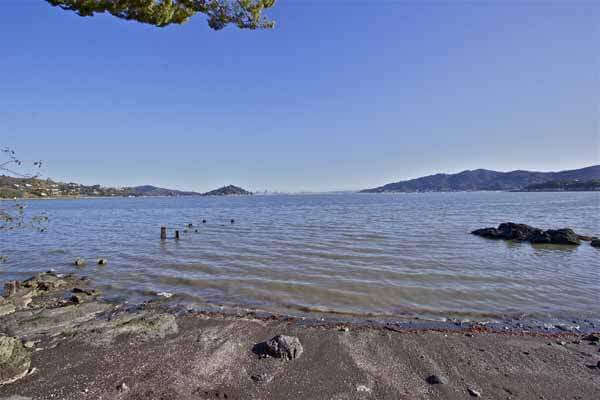 You can learn more about Greenwood Beach Road, one of our favorite locations in Marin County.